Artist Antoinette van Kleeff once said, “When snow falls, nature listens.” My Austin dental practice is always ready to listen, especially when it comes to maintaining your pearly whites. Give us a call with questions and don’t forget to follow these simple steps to help ward off unsightly stains. Different whitening procedures will work best on a variety of teeth stains. Lifting these pesky, colorful remnants to reveal your best smile is an achievable accomplishment. You can use a whitening toothpaste, but be sure to check the label for the American Dental Association seal of approval. Porcelain veneers are another long-term solution for whiter, brighter teeth. Be sure to check with your Austin dentist before starting any whitening procedures. When the white stuff does start to come down this winter, my dental office in Austin will be ready to assist you, making sure your teeth are pearly white, healthy, and happy. Ensuring your comfort with grace, elegance, and empathy is our highest priority! Welcoming new patients from Austin, Westlake, and Cedar Park in any kind of weather. 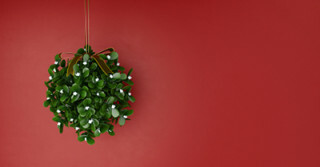 This time of year means more mistletoe and festive parties with friends, family, and colleagues. Whether you’re greeting someone with a smooch or simply engaging in a close conversation, make sure your breath is fresh by brushing up on these helpful dental hygiene tips. Our Austin dental office wants you to ring in the New Year right with a clean, bright smile. Brushing twice daily is one of the biggest defenses to stave off bad breath. Regular, once daily flossing will also ensure your smile and kiss are clean and debris-free. Sometimes this regular routine becomes a second thought this time of year due to the hustle and bustle of the holidays. It’s important keep brushing and flossing for lip-locking free of foul breath. If your daily routine is still plagued by plaque or pain, contact your Austin dentist to schedule a visit. Whether you’re worried about holiday bills or coping with friends and family, this time of year can be crazy. Sometimes added stress means our daily routines get out of sync, leading to lack of hygiene and offensive breath. Don’t forget to eat as healthy as you can, stay hydrated with plenty of water, get plenty of sleep, and be sure to exercise regularly. If you’re still struggling with bad breath, be sure and give our dental office in Austin a call. You’ll feel relaxed in our stress-free environment, and together we’ll discuss your best oral health options. We look forward to welcoming patients from Austin, Westlake, and Cedar Park into next year and beyond!